Picture - A UH-60L Black Hawk flies a low-level mission over Iraq in 2004. In the late 1960s, the United States Army began forming requirements for a helicopter to replace the UH-1 Iroquois, and designated the program as the Utility Tactical Transport Aircraft System (UTTAS). The Army also initiated the development of a new, common turbine engine for its helicopters that would become the General Electric T700. Based on experience in Vietnam, the Army required significant performance, survivability and reliability improvements from both UTTAS and the new powerplant. The Army released its UTTAS request for proposals (RFP) in January 1972. The RFP also included air transport requirements. Transport aboard the C-130 limited the UTTAS cabin height and length. The UTTAS requirements for improved reliability, survivability and lower life-cycle costs resulted in features such as dual-engines with improved hot and high altitude performance, and a modular design (reduced maintenance footprint); run-dry gearboxes; ballistically tolerant, redundant subsystems (hydraulic, electrical and flight controls); crashworthy crew (armored) and troop seats; dual-stage oleo main landing gear; ballistically tolerant, crashworthy main structure; quieter, more robust main and tail rotor systems; and a ballistically tolerant, crashworthy fuel system. Four prototypes were constructed, with the first YUH-60A flying in October 1974. Prior to delivery of the prototypes to the US Army, a preliminary evaluation was conducted in November 1975 to ensure the aircraft could be operated safely during all testing. Three of the prototypes were delivered to the Army in March 1976, for evaluation against the rival Boeing-Vertol design, the YUH-61A, and one was kept by Sikorsky for internal research. 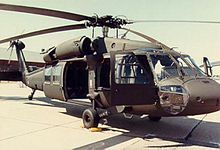 The Army selected the UH-60 for production in December 1976. Deliveries of the UH-60A to the Army began in October 1978 and the helicopter entered service in June 1979. Picture - UH-60s equipped with M60 machine guns near An Najaf, Iraq in May 2005. After entering service, the helicopter was modified for new missions and roles, including mine laying and medical evacuation. An EH-60 variant was developed to conduct electronic warfare and special operations aviation developed the MH-60 variant to support its missions. Due to weight increases from the addition of mission equipment and other changes, the Army ordered the improved UH-60L in 1987. The new model incorporated all of the modifications made to the UH-60A fleet as standard design features. The UH-60L also featured more power and lifting capability with upgraded T700-GE-701C engines and a stronger gearbox, both developed for the SH-60B Seahawk. Its external lift capacity increased by 1,000 lb (450 kg) to 9,000 lb (4,100 kg). The UH-60L also incorporated the automatic flight control system (AFCS) from the SH-60 for better flight control due to handling issues with the more powerful engines. Production of the L-model began in 1989. Development of the next improved variant, the UH-60M, was approved in 2001, to extend the service life of the UH-60 design into the 2020s. The UH-60M incorporates upgraded T700-GE-701D engines and improved rotor blades. It also features state of the art electronic instrumentation, flight controls and aircraft navigation control. After the U.S. DoD approved low-rate initial production of the new variant, manufacturing began in 2006, with the first of 22 new UH-60Ms delivered in July 2006. After an initial operational evaluation, the Army approved full-rate production and a five-year contract for 1,227 helicopters in December 2007. By March 2009, 100 UH-60M helicopters had been delivered to the Army. The UH-60 features a four-blade main and tail rotors and is powered by two General Electric T700 turboshaft engines. It has a long, low profile shape to meet the Army's requirement for transporting aboard a C-130 Hercules. It can carry 11 troops with equipment, lift 2,600 lb (1,170 kg) of cargo internally or 9,000 lb (4,050 kg) of cargo (for UH-60L/M) externally by sling. The Black Hawk helicopter series can perform a wide array of missions, including the tactical transport of troops, electronic warfare, and aeromedical evacuation. A VIP version known as the VH-60N is used to transport important government officials (e.g., Congress, Executive departments) with the helicopter's call sign of "Marine One" when transporting the President of the United States. In air assault operations it can move a squad of 11 combat troops or reposition a 105 mm M102 howitzer with thirty rounds ammunition, and a four-man crew in a single lift. The Black Hawk is equipped with advanced avionics and electronics for increased survivability and capability, such as the Global Positioning System. Picture - UH-60A Black Hawks over Port Salinas during the invasion of Grenada, 1983. The conflict saw the first use of the UH-60. The UH-60 can be equipped with stub wings at top of fuselage to carry fuel tanks or various armaments. The initial stub wing system is called External Stores Support System (ESSS). It has two pylons on each wing to carry two 230 US gal (870 L) and two 450 US gal (1,700 L) tanks in total. The four fuel tanks and associated lines and valves form the external extended range fuel system (ERFS). The ESSS can also carry 10,000 lb (4,500 kg) of armament such as rockets, missile and gun pods. The ESSS entered service in 1986. However it was found that with four fuel tanks it would obstruct the firing field of the door guns. To alleviate the issue, the external tank system (ETS) with unswept stub wings to carry two fuel tanks was developed. The unit cost varies with the version due to the varying specifications, equipment and quantities. For example, the unit cost of the Army's UH-60L Black Hawk is $5.9 million while the unit cost of the Air Force MH-60G Pave Hawk is $10.2 million. The UH-60 entered service with the U.S. Army's 101st Combat Aviation Brigade of the 101st Airborne Division in June 1979. The U.S. military first used the UH-60 in combat during the invasion of Grenada in 1983, and again in the invasion of Panama in 1989. During the Gulf War in 1991, the UH-60 participated in the largest air assault mission in U.S. Army history with over 300 helicopters involved. 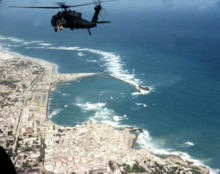 In 1993, Black Hawks featured prominently in the assault on Mogadishu in Somalia. Black Hawks also saw action in the Balkans and Haiti in the 1990s. 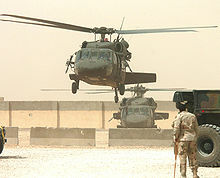 Army UH-60s and other helicopters conducted many air assault and other support missions during the 2003 invasion of Iraq. The UH-60 continues to serve in operations in Afghanistan and Iraq. Highly-modified H-60s were employed during the US Special Forces operation that resulted in the death of Osama bin Laden on 1 May 2011. One such helicopter experienced mechanical trouble during the operation and the team was forced to destroy it before departing. The team members later departed in one of two MH-47 Chinooks with bin Laden's remains. Two MH-47s were used for the mission to refuel the two MH-60s and as backups. Colombia first received UH-60s from the United States in 1987. The Colombian National Police, Colombian Air Force, and Colombian Army use UH-60s to mobilize troops and supplies to places which are difficult to access by ground for counter-insurgency (COIN) operations against drug and guerrilla organizations, as well as for search & rescue and medical evacuation. Colombia also has a militarized gunship version of the UH-60, with stub wings, locally known as Arpx�a (English: Harpy). The Israeli Air Force (IAF) received 10 surplus UH-60A Black Hawks from the United States in August 1994. 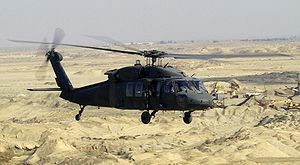 Nicknamed Yanshuf (English: Owl), the UH-60A began replacing Bell 212 utility helicopters of the Israeli Defense Forces. The IAF first used the UH-60s in combat in April 1996, during operation "Grapes of Wrath" against the Hizbullah in southern Lebanon. In March 2000, three IAF UH-60s were used to ferry Pope John Paul II during his visit to Israel, with one helicopter carrying the Pope, another his medical team and a third available on constant standby. The IAF had 49 UH-60s in operation as of November 2008. The Mexican Air Force ordered its first two UH-60Ls in 1991, to transport special forces units, and since then purchased another 4 in 1994. In March 2009, the United States stated it would provide discounted helicopters and other equipment under the M�rida Initiative, to fight the drug cartels in the Mexican drug war. In July and August 2009, the Federal Police used UH-60s in attacks on drug traffickers. In 2010, the Mexican Navy ordered three UH-60Ms. Taiwan has operated S-70C-1/1A since the ROC Air Force received ten S-70C-1A and four S-70C-1 Bluehawk helicopters in June 1986 for Search And Rescue. Four further S-70C-6s were received in April 1998. The ROC Navy received the first of ten S-70C(M)-1s in July 1990. 11 S-70C(M)-2s were received beginning April 2000. In January 2010, the US announced a Foreign Military Sale of 60 UH-60Ms to Taiwan for the ROC Army. Turkey has operated the UH-60 during NATO deployments to Afghanistan and the Balkans. The UH-60 has also been used in counter-terror/internal security operations. The Black Hawk competed in the Turkish General Use Helicopter Tender against the AgustaWestland AW149. Under this project Turkey intends to order up to 115 helicopters and produce many of them indigenously. Turkish Aerospace Industries will be responsible for the final integration and assembly. On 21 April 2011, Turkey announced the selection of Sikorsky's T-70 for the tender. The United Arab Emirates has received 20 UH-60Ls by November 2010. The nation requested 14 UH-60M helicopters in September 2008 through a Foreign Military Sale. The package includes laser and radar warning sensors as well as weapons systems. Brazil has requested 15 additional UH-60Ls through a Foreign Military Sale in 2008. Sweden requested 15 UH-60Ms by a Foreign Military Sale in September 2010. On 9 April 2011, Swedish Minister for Defence Sten Tolgfors announced that the negotiations are almost finalized. Helicopter deliveries are to start in 2012. Swedish pilots will begin training on the helicopter this summer. The UH-60M helicopters are be fully operational by 2017. The UH-60 comes in many variants, and many different modifications. The U.S. Army variants can be fitted with the stub wings to carry additional fuel tanks or weapons. Variants may have different capabilities and their respective equipment in order to fulfill different roles. YUH-60A: The initial test and evaluation version. First flight on 17 October 1974; three built. UH-60A Black Hawk: Original U.S. Army version, carrying a crew of four and up to 11 equipped troops. Equipped with T700-GE-700 engines. Produced 1977-1989. UH-60C Black Hawk: Modified version for Command and control (C2) missions. CH-60E: Proposed troop transport variant for the US Marine Corps. UH-60L Black Hawk: UH-60A with upgraded T700-GE-701C engines, improved durability gearbox, and updated flight control system. Produced 1989-2007. UH-60Ls are also being equipped with the GE T700-GE-701D engine. UH-60M Black Hawk: Improved design wide chord rotor blades, T700-GE-701D engines (max 2,000 shp/1,500 kW each), improved durability gearbox, Integrated Vehicle Management Systems (IVHMS) computer, and the Common Avionics Architecture System (CAAS) flight instrument suite. Production began in 2006. Planned to replace older U.S. Army UH-60s. UH-60M Upgrade Black Hawk: UH-60M with fly-by-wire system and Common Avionics Architecture System (CAAS) flight system. 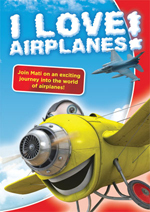 Flight testing began in August 2008. EH-60A Black Hawk: UH-60A with modified electrical system and stations for two electronic systems mission operators. All examples of type have been converted back to standard UH-60A configuration. YEH-60B Black Hawk: UH-60A modified for special radar and avionics installations, prototype for stand-off target acquisition system. EUH-60L (no official name assigned): UH-60L modified with additional mission electronic equipment for Army Airborne C2. EH-60L Black Hawk: EH-60A with major mission equipment upgrade. UH-60Q Black Hawk: UH-60A modified for medical evacuation. The UH-60Q is named DUSTOFF for "dedicated unhesitating service to our fighting forces". HH-60L (no official name assigned): UH-60L extensively modified with medical mission equipment. Components include an external rescue hoist, integrated patient configuration system, environmental control system, on-board oxygen system (OBOGS), and crashworthy ambulatory seats. HH-60M Black Hawk: US Army variant. UH-60M with medical mission equipment (medevac version). Also has no gunner's windows, and includes a nose mounted FLIR. MH-60A Black Hawk: US Army variant. 30 UH-60As modified with additional avionics, night vision capable cockpit, FLIR, M134 door guns, internal axillary fuel tanks and other Special Operations mission equipment in early 1980s. Equipped with T700-GE-701 engines. Variant was used by the 160th Special Operations Aviation Regiment. The MH-60As were replaced by MH-60Ls beginning in the early 1990s and passed to the Air National Guard. MH-60K Black Hawk: US Army variant. Special operations modification first ordered in 1988 for use by the 160th Special Operations Aviation Regiment ("Night Stalkers"). Equipped with the in-flight refueling probe, and T700-GE-701C engines. More advanced than MH-60L, the K-model also includes an integrated avionics system (glass cockpit), AN/APQ-174B terrain-following radar, color weather map generator, improved weapons capability, and various defensive systems. MH-60L Black Hawk: US Army variant. Special operations modification, used by the 160th Special Operations Aviation Regiment ("Night Stalkers"), based on the UH-60L with T700-701C engines. It was developed as an interim version in the late 1980s pending fielding of the MH-60K. Equipped with many of the systems used on MH-60K, including FLIR, terrain-following radar, color weather map generator, auxiliary fuel system, and laser rangefinder/designator. 37 MH-60Ls were built and some 10 had received a in-flight refueling probe by 2003. MH-60L Direct Action Penetrator (DAP): US Army variant. Special operations modification of the baseline MH-60L, operated by the 160th Special Operations Aviation Regiment. The DAP is equipped with ESSS or ETS stub wings, each capable of carrying a M230 Chain Gun 30 mm automatic cannon, rocket pods, and various other armaments. M134D miniguns are used as door guns. MH-60M Black Hawk: US Army variant. Special operations version of UH-60M. It will feature the Rockwell Collins Common Avionics Architecture System (CAAS) glass cockpit and more powerful YT706-GE-700 engines. MH-60 Black Hawk stealth helicopter: One of two specially modified MH-60s used in the raid on Osama bin Laden's hideout in Pakistan on 1 May 2011 was damaged in a hard landing, and was subsequently destroyed by US forces. Subsequent reports state that the Blackhawk destroyed was a previously unconfirmed, but rumored, modification of the design with reduced noise signature and stealth technology. The modifications are said to add several hundred pounds to the base helicopter including edge alignment panels, special coatings and anti-radar treatments for the windshields. UH-60A RASCAL: NASA-modified version for the Rotorcraft-Aircrew Systems Concepts Airborne Laboratory: $US25M program for the study of helicopter maneuverability in three programs, Superaugmented Controls for Agile Maneuvering Performance (SCAMP), Automated Nap-of-the-Earth (ANOE) and Rotorcraft Agility and Pilotage Improvement Demonstration (RAPID). VH-60D Nighthawk: USMC variant. VIP-configured HH-60D, used for Presidential transport. T700-GE-401C engines. Variant was later redesignated VH-60N. VH-60N Whitehawk: USMC variant. Modified UH-60A with some features from the SH-60B/F Seahawks. Used for Presidential and VIP transport. It entered service in 1988 and nine were delivered. UH-60J Black Hawk: Variant for the Japanese Air Self Defense Force and Maritime Self Defense Force produced under license by Mitsubishi Heavy Industries. Also known as the S-70-12. UH-60JA Black Hawk: Variant for the Japanese Ground Self Defense Force. It is license produced by Mitsubishi Heavy Industries. AH-60L Arpx�a III: Export version for Colombia. 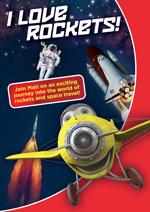 It is COIN attack version with improved electronics, firing system, FLIR, radar, light rockets and machine gun. It was developed by Elbit, Sikorsky, and the Colombian Air Force. AH-60L Battle Hawk: Export version unsuccessfully tendered for Australian Army project AIR87, similar to AH-60L Arpx�a III. UH-60P Black Hawk: Version for the Republic of Korea, based on UH-60L with some improvements. Around 150 were produced domestically by Korean Air. S-70A-1 Desert Hawk: Export version for the Royal Saudi Land Forces. S-70A-L1 Desert Hawk: Aeromedical evacuation version for the Royal Saudi Land Forces. S-70-5 Black Hawk: Export version for the Philippine Air Force. S-70-6 Black Hawk: Export version for Thailand. S-70A-9 Black Hawk: Export version for Australia, assembled under licence by Hawker de Havilland. First eight delivered to the Royal Australian Air Force, subsequently transferred to the Australian Army; remainder delivered straight to the Army after rotary-wing assets divested by the Air Force in 1989. S-70-11 Black Hawk: Export version for the Royal Jordanian Air Force. S-70-12 Black Hawk: Search and rescue model for the Japanese Air Self Defense Force and Maritime Self Defense Force. Also known as the UH-60J. S-70-14 Black Hawk: Export version for Brunei. S-70-16 Black Hawk: Engine test bed for the Rolls-Royce/Turbomeca RTM 332. S-70-17 Black Hawk: Export version for Turkey. S-70-18 Black Hawk: UH-60P and HH-60P for Republic of Korea built under license. Sikorsky/Westland S-70-19 Black Hawk: This version is built under license in the United Kingdom by Westland. Also known as the WS-70. S-70-20 Black Hawk: VIP transport version for Thailand. S-70-21 Black Hawk: Export version for Egypt. S-70-22 Black Hawk: VH-60P for Republic of Korea built under license. Used for VIP transport by the Republic of Korea Air Force. Its fuselage is tipped with white to distinguish from normal HH-60P. S-70-24 Black Hawk: Export version for Mexico. S-70-26 Black Hawk: Export version for Morocco. S-70-27 Black Hawk: Search and rescue version for the Hong Kong Government Flying Service; three built. S-70A-30 Black Hawk: Export version for Argentine Air Force, used as a VIP transport helicopter by the Presidential fleet; one built. S-70A-39 Black Hawk: VIP transport version for Chile; one built. S-70A-42 Black Hawk: Export version for Austria. S-70A-43 Black Hawk: Export version for Royal Thai Army. S-70A-50 Black Hawk: Export version for Israel; 15 built. 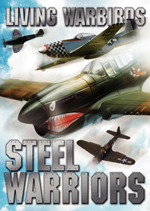 See Sikorsky SH-60 Seahawk, Sikorsky HH-60 Pave Hawk, and Sikorsky HH-60 Jayhawk for other Sikorsky S-70 variants. Australian Army Aviation has 35 S-70A-9 Black Hawks in service as of January 2010. Austrian Air Force has 9 S-70A-42 Black Hawk as of January 2010. Received 2 UH-60A/S-70A and 8 UH-60L/S-70A Black Hawks. Brazilian Air Force has 10 UH-60s in service. Brazil requested another 15 in September 2008. Brazilian Army has 4 UH-60Ls in service with another 6 on order as of November 2008. Royal Brunei Air Force has received 1 UH-60A and 1 UH-60L Black Hawks with 9 UH-60Ms on order as of 2007. Colombian Air Force has 32 UH-60A/L and AH-60L Arpia III in use as of November 2008. Colombian Army has 34 UH-60A/L with 15 more on order as of November 2008. Colombian National Police has 7 in use in August 2010. Received 8 UH-60Ls, with 4 in service as of Nov. 2008. 62 UH-60Ms have been ordered with deliveries in 2011-2013. Has 49 S-70A/UH-60A/L helicopters in use as of Nov. 2008. Japan Air Self-Defense Force has 31 UH-60s in service as of Nov. 2008. Japan Ground Self-Defense Force has 27 UH-60s in service with 1 on order as of Nov. 2008. Has 9 UH-60Ls in service with 2 on order as of Nov. 2008. The Republic of Korea Army and Navy received 130 and 10 UH-60P Black Hawks, respectively. Republic of Korea has 141 S-70A/UH-60P helicopters in use as of November 2008. The Republic of Korea Air Force has 10 VH-60P and HH-60P helicopters. Royal Malaysian Air Force received 2 UH-60L (S-70A) Black Hawks for VIP transport. Royal Moroccan Police Air Squadron received 2 UH-60Ls for VIP transport. Mexican Air Force received 6 UH-60L (S-70A-24) Black Hawks. Philippine Air Force Presidential Air Wing received 2 UH-60A (S-70A) helicopters. People's Liberation Army Air Force has 22 S-70Cs in inventory as of November 2008. Republic of China Air Force has 17 S-70Cs in service as of November 2008. Republic of China Army has requested 60 UH-60Ms. Has 15 UH-60Ls in use as of November 2008. Royal Thai Army has 7 UH-60L (S-70A-43) Black Hawks in service. The Turkish military and national police received a combined 12 UH-60A/L (S-70A-17), and 95 UH-60L (S-70A-28) Black Hawks. The Turkish Army has 59 S-70As (UH-60A/L) in service as of January 2010. Turkey plans to acquire up to 115 T-70 helicopters. United Arab Emirates Air Force has 5 S-70As in service as of January 2010. United States Army has 1,349 UH-60s, 64 EH-60s, and 58 MH-60s in inventory as of January 2010. Royal Australian Air Force received 39 UH-60L (S-70A-9) Black Hawks, transferred to Australian Army Aviation in 1989. See Sikorsky S-70 for civilian operators. Can be equipped with VOLCANO minefield dispersal system. 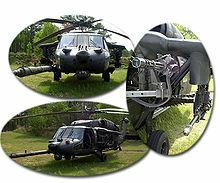 See UH-60 Armament Subsystems for more information. Bishop, Chris. Sikorsky UH-60 Black Hawk. Osprey, 2008. 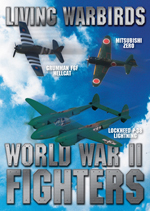 ISBN 978-1-84176852-6.